The Purobio Eye Shadow Brush is ideal for applying your eyeshadows. Made of strong synthetic hair, it is ultra soft and does not irritate even sensitive eyelids. 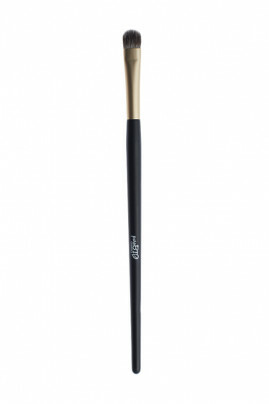 The Purobio Eye Brush n°7 defines the contours and blurs the eyeshadow or pencil line for a very professional result! Perfect for all make-up with the Purobio Vegan Eyelids Brush! Take some PUROBIO Organic Eyeshadow with PUROBIO Eyeshadow Brush, then tap off the excess. Apply the eyeshadow on your lid, depending on the desired intensity.